This week for our April meeting our very own Treasurer, Lora, is going to offer an english paper piecing workshop! Please remember that we will meet this Wednesday, April 2nd in the Teen Area of the Milhopper Library in Gainesville, FL. Next month, (after tax season is over) we will be back to our regular Meeting Room A! Yay! Brigit, our new VP will be running the meeting since Vanessa is out of town for work this week. As usual remember to bring your current modern quilting projects for show-n-tell. And now… back to our workshop! As you already know Lora creates some fabulous works of art and is very meticulous with her craft. Come learn from the best! The workshop is FREE and we hope you will come out and join us for quilty fun! 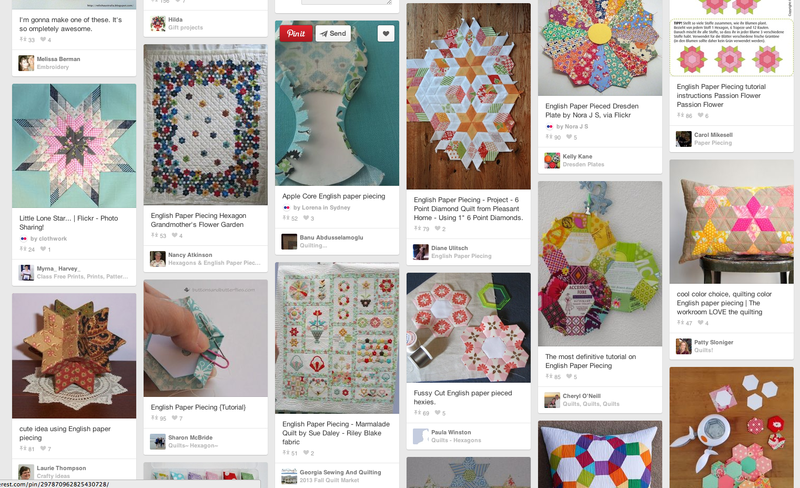 English paper piecing on Pinterest. Check out more of Lora’s work at her blog: Dragonfly Quiltworks.